On any given day, it's likely that most people use several electrical appliances. With electric appliances being so common in modern homes, it's easy to forget that there are very real risks and hazards associated with their use. Take the time to brush up on the principles of safe operation - and make sure that everyone in your home is aware of them - in order to prevent unnecessary exposure to hazards and safety risks. Being safe when using electrical appliances, extension cords, light bulbs and other equipment is easy, and safety tips should be included in household rules, homeschool fire safety and daily behavior expectations for all members of the family. It only takes one mistake to spark an electrical fire, but simple prevention measures can be effective solutions. According to Atlantic Training, it's essential to ensure that any appliances you purchase are approved by Underwriters Laboratories (UL) or another reputable consumer laboratory. 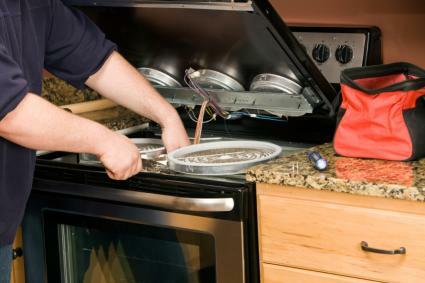 Always follow appliance instructions carefully and do not attempt amateur repairs or upgrades. Cords are not jump ropes, clothes lines or leashes, and should never be used for anything other than their intended purpose. Cords should be firmly plugged into outlets - if the cord is loose and can pull out easily, choose a different, more snug outlet. 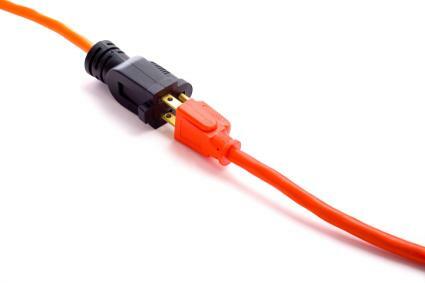 Do not make modifications to a cord's plug at any time - do not clip off the third prong or attempt to file down a wider prong to fit in a different outlet. Block unused outlets by changing to a solid cover plate or using childproof caps per Consumer Product Safety Commission recommendations. Install ground fault circuit interrupter outlets in potentially hazardous areas such as near pools, crawl spaces, kitchens, bathrooms and unfinished basements. Use bulbs that have the correct wattage requirements for each fixture. Using a higher wattage bulb can cause the fixture to overheat. 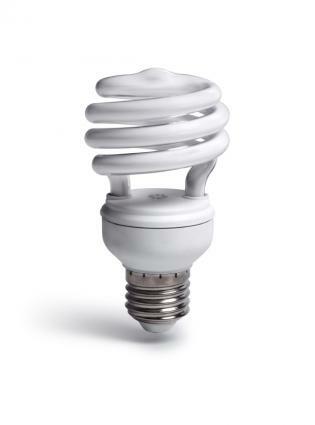 Consider switching to more efficient compact fluorescent (CFL) bulbs that provide the same level of light at a lower wattage level. According to the Nebraska Recycling Council, if a CFL bulb breaks, you should open a window and have all people and pets leave the room for at least 15 minutes. It is also important to practice electrical safety when outside since many electrical hazards can be found near homes and not just inside their walls. Keep trees pruned and away from power lines overhead as well as where the power lines approach the house. Do not fly kites, model aircraft or balloons near power lines. When using a ladder, carefully inspect the surrounding area to be sure it is free from power lines. Do not swim or play in water during an electrical storm, even if it is not raining. 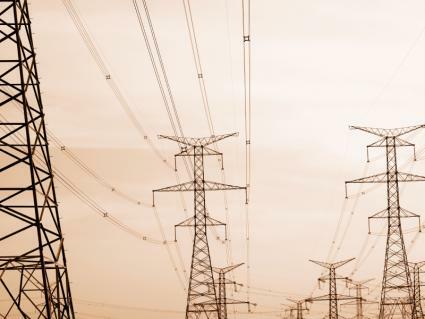 Always assume that contact with a power line can be deadly. Do not approach a downed power line to see if it is live - it may give no signs that can be easily observed, but it is just as deadly. Contact the authorities immediately about downed lines. 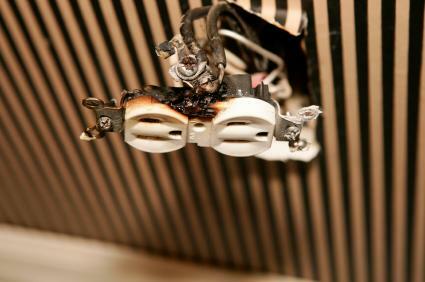 When an electrical short or spark does happen, it is vital to understand what to do to prevent or put out an electrical fire to keep the damage and devastation from spreading. You should, of course, call 911 or other appropriate emergency services immediately in case of electrical injury or fire. According to The Hartford, there are many common causes of electrical fires and signs to be aware of. Here are a few tips to keep your family safer. Do not allow children to play in proximity to small or large electric appliances. Replace any tools that put off even mild electric shocks. Replace any light switches that have a tendency to flicker. Replace any light switches that are hot to the touch. 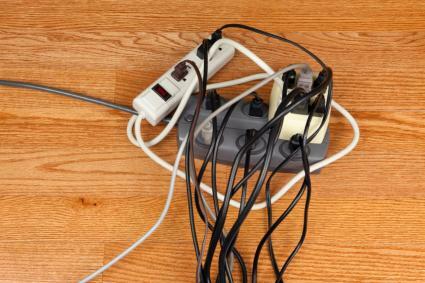 Avoid overloading extension cords, sockets and plugs. Do not ever force a three-prong plug into a two-receptacle socket. Know where fuse boxes and circuit breakers are located as well as how to operate them properly. Never attempt electrical repairs or rewiring without proper certification and experience. 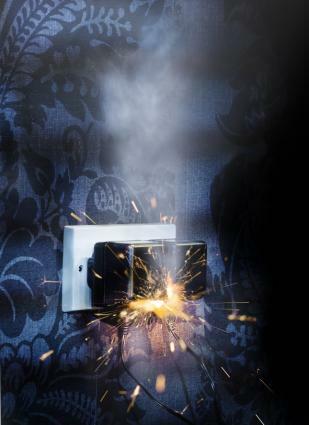 Even though electricity is commonplace, there is still quite a bit of danger associated with improper use. Carefully observe all safety measures when using electricity to keep yourself - and your family - safe.